Low hanging fruit. You likely hear the term nearly every day in the business world. It refers to something easy to reach and therefore should be “picked” first. It has also come to mean an area where you can concentrate your efforts to get the most results. In healthcare finance, low hanging fruit is often used as a descriptor of the easiest money to collect on outstanding accounts receivable. Revenue Cycle teams focus on Medicare, Medicaid, and specific major payers that make up the majority of their revenue. Working the payers that will yield 80 percent of your revenue – Medicare, Medicaid, and two or three of your major commercial plans - makes sense and should be the first line of attack when looking to collect outstanding revenue. But what about the “fruit” that is further back and higher up in the “trees?” What about that other 20 percent of your revenue? You shouldn’t be content with disregarding 20 cents of every dollar. With improvements in automation and technology, it’s time to take another look at this still-very-valuable component of your receivables and begin mapping out a new attack plan to collect it. Putting more emphasis on the long-tail of your A/R complements the new emphasis on revenue integrity. The need to improve the bottom line while reducing organizational costs has never been greater for healthcare organizations. New financial models, the cost shift to patients, a substantial increase in auditing from a greater number of agencies and continued merger and acquisition activity are competing priorities contributing to this sharpened focus on an organization’s overall financial health. All too often, providers find themselves focusing on one aspect of the revenue cycle versus examining and maintaining the revenue integrity of the entire organization. For many years, Revenue Cycle Management (RCM) has been the cornerstone of healthcare organizations’ efforts to properly bill and collect legitimate reimbursement revenue. RCM is the process of managing the administrative and clinical roles related to claims processing, payment and collection. Revenue Integrity, on the other hand, takes a more holistic view of the revenue cycle. It evaluates many of the same people, processes and technology involved in RCM, but it goes a step further by understanding how these various disparate processes can be connected to optimize the entire revenue cycle. 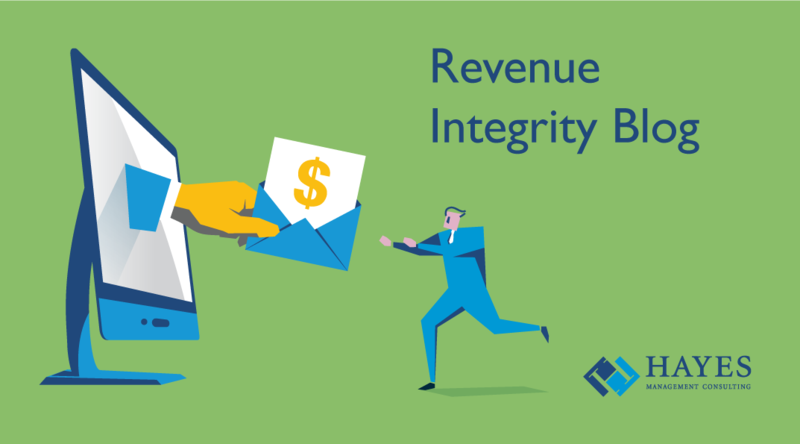 The key to an effective revenue integrity program is to review, evaluate and optimize all three revenue streams – front end, mid cycle, and back office. Focusing on “forgotten A/R" clearly emphasizes the activities and efforts of the third component of the revenue cycle, the back end revenue stream. Why has the A/R of smaller payers been overlooked in the past? There are two key reasons why this has often been the case. Account Management. There are two major philosophies that come into play when working accounts for collections. One is to sort by insurance type and the other by alphabetical by patient. When using insurance types method, the smaller insurance types are often never touched because of the emphasis on the larger amount of accounts in the major insurance companies. When working by alphabet, the staff may only randomly touch the smaller companies. Prioritization. Best practices call for prioritizing your larger balances both in dollar amount of claims and amount of claims within a particular insurance class or company. Again, this will result in smaller claims falling by the wayside and not getting much attention. Once your department has mastered efficiently collecting from your major payers, you can move on to implement streamlined practices to maximize collection from your minor payers. Here are three steps to develop an effective program for approaching smaller payer collections. You should begin with a detailed assessment of your revenue cycle. It should include a comprehensive analysis of your technology, processes, data, and staff customized for your organization’s unique business needs and priorities. Your assessment should include a roadmap for improvement prioritized based on level of impact, effort, and cost. The assessment should also analyze your receivables to determine which accounts haven’t received much focus and which would benefit from increased collection efforts. Create a team that is responsible for specific minor payers, divisions, or areas. These team members should be critical, out-of-the box thinkers, have a broad range of medical billing knowledge, a successful track record of follow up expertise and be willing to take on the challenge of working a variety of scenarios. The team should be tasked with developing reporting and task management work lists that allow the group to work these payers in the same fashion as major payers. They should create proactive and reactive recommendations while working the outstanding accounts receivable. Once appropriate policies and processes have been established by the team, you may find you can continue to successfully work the smaller payers with fewer staff effort hours. This team is designed to review all invoices that are outstanding past a certain date. The philosophy behind this design is that all of these invoices should have been reviewed by various teams at some point in the process. But, if they are still outstanding or were not reviewed, they would be “caught” by the “safety net” team for further review. A Safety Net team provides another “set of eyes” on invoices that have been worked previously. They will be able to review previous actions and may be able to provide new ideas to bring these outstanding receivables to a resolution. 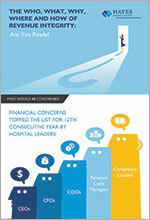 They will also be in a position to spot trends in issues that may be impacting a specific group of insurance companies. The team will also be able to highlight smaller issues, particularly with single providers or departments. They may uncover things as simple as a missing provider identification number or an issue with a locations CLIA number. These team members should be made up of critical thinkers with experience in coding and medical necessity determination. They should also have the ability to recognize trends and identify reasons for accounts having fallen through the cracks. As revenue cycle departments continue to streamline and automate their processes and rush to lower the days in accounts receivable, organizations are quick to write off or turn accounts over to third party companies. This decision might be the best for an organization in the early stages of a program focused on reducing days in accounts receivable or improving collection rates. But you should consider the long range plan from moving past the beginning phase of such a program. Concentrating on the smaller payers in receivables can result in actual cash in the door for your organization, improve customer service and lessen the amounts sent to third party companies. You’ve done a good job of picking your low hanging fruit. Now don’t forget about the “ripe fruit” that is still there for the taking with some planning an effort. For for more information on revenue integrity, feel free to download our infographic, The Who, What, Why, Where and How of Revenue Integrity, Are You Ready?